December 29, 2013 by Susan G.
Recently Dr. Schoen and I were discussing the concepts of “giving” and “letting go” and how they metaphorically apply to both our lives and the aspect of equitation that allows a horse to move more freely forwards. This is the time of year we transition from a season of gift-giving to that of self-reflection and New Year’s resolutions, making decisions we hope will allow us to move forwards in our own lives, perhaps letting go of old habits or thought patterns that have held us back in the past. So often we think of “giving” as meaning something we have to pay for, wrap up, order online, transport, mail or otherwise involve ourselves in a complex set of activities in order to complete the giving of the gift. For some people the act of giving comes with the expectations of getting something in return. Such an attitude can create disharmony and stress for both the giver and the receiver. When we give with compassion it is to be given from the heart for the benefit of the recipient, and without the plotting of what might be given back in exchange. Ultimately, as we practice compassion, we soon realize there is so much joy in giving it’s an instant return to us in the feeling we personally receive from a genuine sense of contributing to the benefit of another being. One of the hardest things for me to teach a rider was the “giving rein”. As with the letting go of aspects of our lives we want to stay in control of, most riders have a difficult time giving the hand forwards, releasing contact with the rein even if only for a moment. Of what benefit is this to the horse? 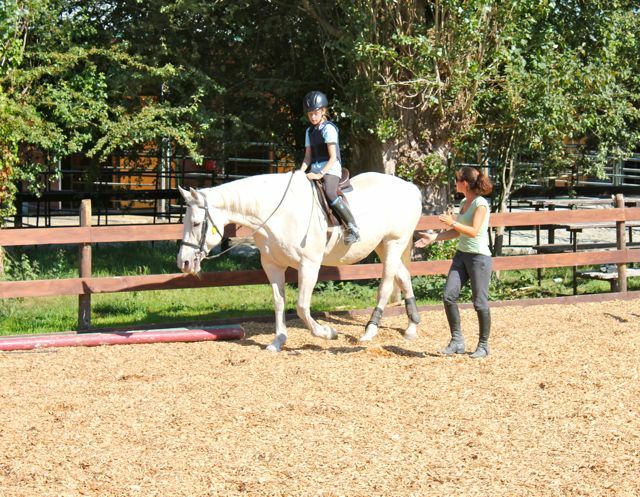 As an instructor, when I’m watching from the ground and I see the precise moment the horse is ready to reach a little further into contact, lift his back and shoulders, lengthen his neck, relax the poll, and open up the stride without increasing tempo, I will tell the student “give the inside hand forwards”. I want them to learn to feel this moment for themselves and respond at first consciously and then subconsciously as a conditioned response that instantly rewards the horse for his willingness to move forwards. This concept is fundamental to the traditional training of horses that develops their ability to carry a rider through all gaits and all activities, building a stronger muscle-bridge across the topline, allowing the horse to remain as sound as possible for its entire working life. So why would giving a rein forwards, gifting the horse with freedom and relaxation, be so difficult? Dr. Schoen and I related this to the personal filters people maintain as they interact with their horses. There is such a connection between the hand and the horse’s head and we often don’t realize how much of our emotional “stuff” we are relaying to the horse via rein tension and how it may be affected not only by the level of skill of the rider, but the degree of mindfulness in applying the various rein aids. After all, the only thing the horse has to go by in reading the mood and instincts of the rider is the feel they are receiving through the rider’s body. The horse is an instantaneous biofeedback mechanism and even more so when we are attached to it with a set of reins. “Letting go”, when combined with the concept of “giving” is a very personal thing. To be compassionate to yourself and “let go” of the parts of your life that need to be released can be considered a gift to yourself with no attachments or expectations of the outcome. Simply observing the results will tell you what you need to know as a response to that exercise of “letting go”. There may be many old imprints and programs in your psyche afffecting both you and your horse in a controlling kind of way that creates continued stress in both your life and your riding. Dr. Schoen treats many horses who are so tight in the neck and poll from being held rigidly and not allowed to reach forwards and downwards into the rider’s hand. I see the same thing in almost every horse I’ve worked with as well. When a student finally softens their hand forward in just the right moment and just the right amount, and I see two beautiful beings working in instant joy and harmony, I see the true meaning of “giving”. It is a very subtle, almost imperceptible moment of awareness that occurs between horse and rider, rider and themselves, and then extends back to other horses and riders at the barn and inevitably, everyone who encounters that rider and that horse in the other aspects of their lives. As those special “letting go” and “giving” moments are increased and become part of the subconscious practice, first with the self, with the horse, and then recognized by others, they become the personality and identity of that person and compassion becomes central to their lives. 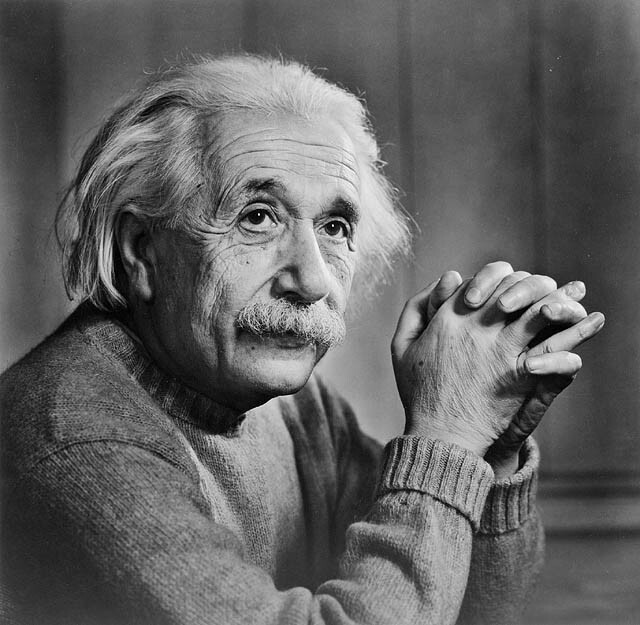 Everyone, everywhere benefits from that very fundamental, simple concept. Giving does not have to involve a credit card, rushing around through a shopping mall, stressing over what to buy for whom or elaborate trinkets. Sometimes it’s ourselves we need to give to, which could mean reflecting on concepts that are keeping us on a tight rein and preventing us from moving forward in life. Give a smile to someone who needs it, give a bit of your time to help an elderly person with their groceries, and give your horse a pat on the neck. What you actually receive in return may be the greatest gift, ever. December 19, 2013 by Susan G.
This is always a difficult time of year as it seems to emphasize the biggest differences between those who have enough money to celebrate the holidays with all the trimmings, and those who need help just to survive from day to day. Whether it be homeless animals or homeless humans, the sad, shallow, look in the eyes is frequently the same and the aura of despair is palpable. There never seems to be enough to give to relieve the suffering of so many. I watched a video the other day that’s circulating the internet about a dog who was rescued from a junkyard. A video crew followed the rescuers to the wretched, exposed pile of garbage the dog was living in, and being too weak and sick to fight, she was easily caught and taken in to the shelter. Within a week or so of her recovery she was a completely different dog, and subsequently adopted another tiny, scared rescue who was brought to the same shelter. The video ended with two joyful dogs and a plea for their adoption. It wasn’t the first time I’ve seen rescued animals turn right around and rescue another. Those of us who have had strays, rescues, and otherwise rejected animals know how much they seem to appreciate their fortuitous circumstances after finding an adopter. It may also be the case that those of us who have known the hardships of not knowing who or where to turn to, and understand all to well what rejection feels like, may also be the ones who most quickly recognize those same feelings in animals. One of the horse trainers I worked for was a self-proclaimed non-cat-lover and never would have kept one as a pet. So I was shocked the day he showed up at the barn after teaching off site with a tiny, quivering tuxedo kitten in his hands. He said the kitten mewed at him ringside so desperately he figured the dogs would have had him for lunch had he just left him there in the hot desert sun. We set up a “cat stall” in the barn for the new arrival who let it be known he would have nothing to do with being a barn cat. I took him into the house, thinking it would be temporary. After tending to the afternoon’s training rides I went back into the house to find “Bonz” as he’d been named and he was nowhere in sight. He was barely old enough to be weaned and I was afraid he’d crawled into a small, dark space somewhere, perhaps impossible to find. After searching the house I went into my room and found he’d climbed up the comforter on my bed and was happily snoozing on my pillow. This teacup-sized feline baby sure knew what he wanted! Once big enough to go outside, the personable Bonz found a frightened tabby Manx kitten whom he adopted and also convinced to move into the house, teaching him what it was like to live in the lap of luxury! My non-cat-loving partner now had two of them, and didn’t seem to mind one bit. When compassion settles into the heart, all beings benefit. When the opportunity arises to relieve the suffering of another, it just happens because that’s who you become. I’ve witnessed something else in my own journey and immersion in the world of animals. Several years ago I was in film school working on a documentary about the equine slaughter industry. It is a brutal, disturbing topic that was heart-wrenching to research. I made myself watch the most horrific videos and read the statistics in spite of how hard it was to do so. Even as a long-time trainer, I had absolutely no idea how many horses ended up in the kill boxes every year. Thousands of homeless horses. Rejected by humans for whatever reason… and there are many… not deserving the kind of fate they received. I showed the film’s trailer to my class, made up primarily of city-dwellers with an interest in environmental and social justice issues. I had included undercover video footage of horses in the pens inside the slaughterhouse, and noted to the class how scared the horses were, knowing what was going on in there. One close up of a distraught chestnut in particular, would be read by any experienced horseman as being in a very depressed, shut-down state. Long past just the fear of the situation. I thought everyone, horse-person or not, could read the expression on this horse’s face. Then I realized the truth of the matter was that wasn’t the case. It made me realize why some people have compassion for animals and others do not. They literally cannot read when a horse, or perhaps any animal, is signalling they are in fear, stress, pain, or depression. I also realized how much work there is still to be done on a very large scale to help humans develop compassion for horses. There are so many in the system now who are homeless, neglected and abused. Apparently there are also many people who do not recognize the level of suffering these horses are experiencing. 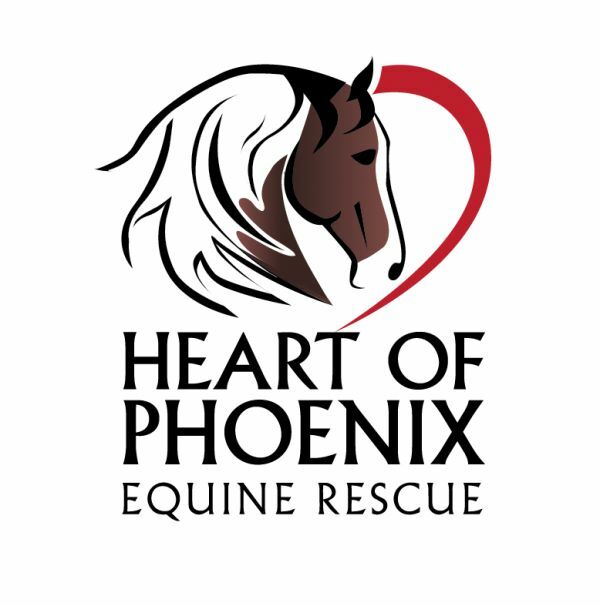 It’s an interesting quandary, and one worth contemplating… because those of us who have rescued horses know exactly how those horses have, in turn, rescued us. December 12, 2013 by Susan G.
A number of years ago I was attending a clinic at a barn in Wellington, Florida. The instructor was one of the best professional dressage riders and trainers in the U.S., and the weekend clinic was based on her program for training the rider as an athlete. I was impressed at not only her kindness and awareness of her horses and every subtle nuance of the ride, but how authentic she was with the attendees. She immediately felt like a friend. We weren’t riding that weekend, but horses and riders were used to demonstrate the principles of her program, which some of the ladies attending had apparently assumed they could be certified for. As it was made clear to them during the final session of the workshop that further training outside of the equestrian field would be needed to qualify for certification in this particular program, tension began to rise in the group as the instructor was being challenged. From where I was sitting I had full view of the barn with the horses that were there in training for the winter show season. Having seen several in the arena over the two days I knew how calm and quiet they were and how beautifully cared for each horse was. The entire row of about 5 or 6 horses had their heads out the back windows of the stalls, watching the discussion group with great interest and ears pricked. They knew their rider was part of the group too and were fixated in the direction of her voice. As the disgruntled attendees became angrier and their voices rose, I could see the other participants growing more tense and most certainly the instructor was trying to finish up a great weekend on a positive note. At the same time I noticed the horses becoming restless as well. One of them started weaving, slowly swaying from side-to-side in its stall. The other horses who had been watching with ears pricked and pleasant expressions also became more agitated. The weaver picked up his rhythm, while the others now had their ears back and were obviously getting upset, yet they remained fixated on the group. I felt sorry for the instructor as we had gotten friendly over the weekend and communicated via subtle cues that genuine horsemen use to signal each other that we’re on the same page. Much like the horses were doing in picking up the emotions being relayed by the upset women towards the rider they knew well, and who probably rarely, if ever, radiated such energy towards them. I sensed that this was an unusual situation for these horses and it fascinated me to see them go from so calm and soothed to being obviously distressed by what they were seeing… or hearing… or sensing… perhaps engaging all of their herd instincts in feeling the negativity directed at their “herd leader”. Maybe they wanted to rescue her from the apparent danger, and then bolt to where it would be safe from the “predators”. As the group began to disperse my friend showed up to drive us back to the hotel and I didn’t have the chance to talk further to the instructor or see how the horses were after everyone else was gone. I did note the one being ridden in the arena had become quite spooky however and thought maybe it had also picked up on the other horses in the barn and their level of stress. It confirmed for me that horses who have been conditioned to exist in the company of humans think of us like being in the company of their own wild herds. It’s very important to them and reinforces how much of our energy they actually pick up on. It should remind us to be as calm and stress-free as possible when we’re around them if we want them to be that way as well. 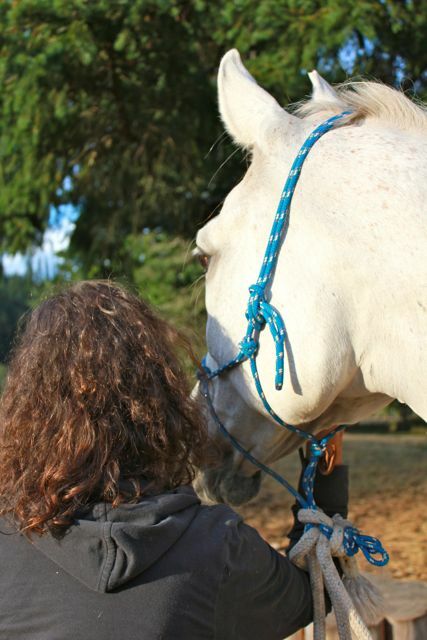 The Principles of Compassionate Equitation are a program of personal development that will lead the rider through a series of exercises and awarenesses that will help in this aspect of enjoying our own horses by calming ourselves and alleviating stress-related reactions, and becoming mindful of the “global herd” that needs attention, care, and compassion as well. at home on Salt Spring Island, B.C. December 5, 2013 by Susan G.
In the Principles of Compassionate Equitation we talk about being mindful of the horse’s physical sensitivity. Many people are quick to hop on the back of a horse without thinking about the fact that they’re sitting on the skin, bones, muscles, nerves and organs of another living being. Not only are we sitting on something that is alive, but it has the same kind of pain receptors and perception of pain that humans do. 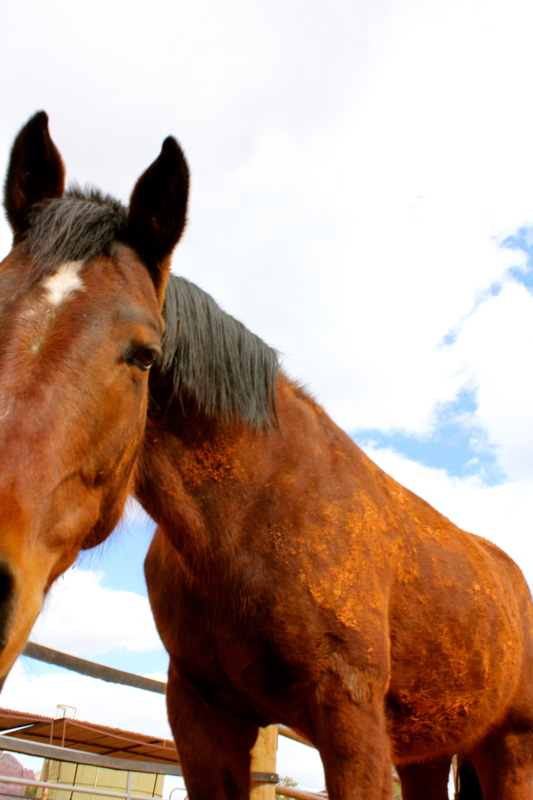 Horses will often do their best to let us know when something is wrong, if only we’re listening in the first place. It isn’t unusual for a rider or trainer to claim the horse has behavioural issues, when all it’s trying to do is let somebody know something is hurting. For some reason it’s expected horses should be far more stoic than humans regarding the acceptance of pain. If they’re poked at, strapped down, gasping for air, squeezed by a tight girth or prodded to move when their joints feel like they’re on fire why should we expect the response to be any different than a human put in the same situation? Everyone who has horses comes by them through their own filters of experience and learning situations, and chooses their breed, equipment, style of riding and training for many different reasons. Horses, fundamentally, are the same as they have been from the beginning of their species, and have put up with pretty much everything humans have done to them. Do we really understand their level of sensitivity though? It’s not about whether they’re smart or not. This isn’t about their ability to think. It’s base-level response to stimulus and what it takes to achieve a response in a horse. We’ve all watched horses twitch at a fly on their side, and yet the same horse might completely ignore the pressure of a rider’s leg asking it to go forwards until it receives a kick in the ribs. Is this horse simply receiving conflicting aids and/or desensitized to the meaning of leg pressure or is it resistant to go forwards because pain in the back or hocks makes it painful to do so? Every horse-person should be aware of asking such a simple question every time resistance is met in the horse. Is it really a training problem, or is it pain? I realized several years ago just how extraordinarily sensitive the horse is and how finely tuned our own senses can become to their needs. 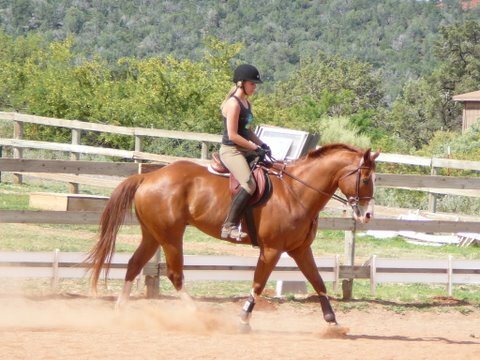 I had just finished teaching a lesson at a barn when a new boarder walked by with a lovely chestnut mare that reminded me of the off-track thoroughbred mare I’d had years earlier. We’d jumped to many show victories and she was the catalyst for the start of my professional career. The woman leading the mare stopped to chat and noted she was just hand-walking the horse because its back was sore. As a trainer, dealing with sore and sensitive backs and necks had become my speciality, honed over years of working with many ex-racehorses and rescues from all kinds of backgrounds. I asked about the sore back and began to scan the mare’s body with my eyes. She was at least a horse-length away from me yet as my eyes fell on the most painful part of her back, she pinned her ears in a very threatening expression. She meant business! The owner didn’t notice the horse’s reaction until I mentioned it. The pretty chestnut pricked her ears up again when I averted my gaze back to the owner. Fascinated, I told the woman what had just happened and then asked her to watch while I tried it again. I scanned the mare once more and got the same “don’t touch me” response when my eyes landed on the damaged part of her back, which would have been right behind the saddle if she’d been wearing one. It’s also a very common site for extreme pain and spinal damage that will often show up as a “hunter’s bump” on horses that have been so compromised. The owner confirmed that I was indeed looking at the part of the mare’s backside that had been confirmed as so sore she was unrideable. She was under a veterinarian’s care so I left it at that and wished them both well. As Dr. Schoen notes, if there’s any resistances or sudden changes in behaviour in the horse, “first rule out pain”. If one veterinarian’s diagnosis doesn’t find the source, you may need more than one, and we highly recommend integrative and holistic workups to get the whole picture. I’ve seen far too many people injured by horses whose alleged “bad behaviour” was simply a response to pain. Many of them will put up with a lot before they finally “blow” but as a trainer, I would prefer that riders & horse owners accept the fact even the most stoic and gentlest of horses will reach a breaking point and a painful area isn’t necessarily as obvious as a trauma or open wound. Not all horses will give us the same radical clues as the chestnut mare in this story when a body part is so tender they don’t even want us to look at it! Think of the horse being as sensitive as we humans are to pain… it doesn’t always take much before we’d feel like bucking somebody off too!